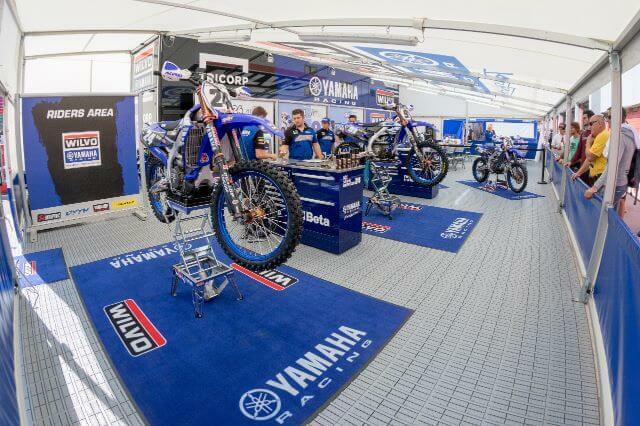 Following nineteen rounds in sixteen different countries, the Wilvo Yamaha MXGP squad travelled to Italy for the twentieth and final round of the FIM Motocross World Championship. The Grand Prix of Italy, held at a historic road-race facility in Imola, played host to the memorable event. The man-made circuit flattened the playing field and gave everyone a chance to shine. 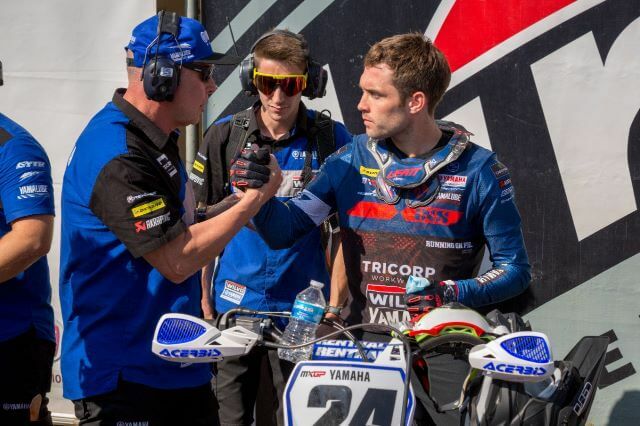 Jeremy Seewer and Shaun Simpson, the two Wilvo Yamaha MXGP riders, stole the show with an amazing battle in the qualifying heat on Saturday. The pair were separated by a matter of seconds and finished in sixth and seventh at the chequered flag. 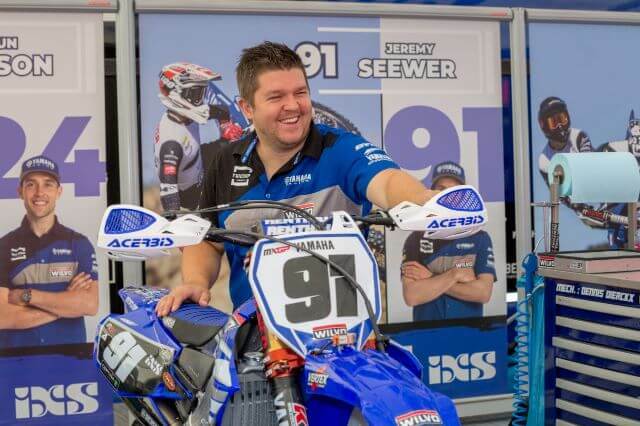 Seewer got the better of his teammate in the end and therefore had a slightly better spot on the starting line when the first moto fired into life at midday. Jeremy Seewer actually put that to good use too, as he started on the verge of the top five and just ahead of his teammate. 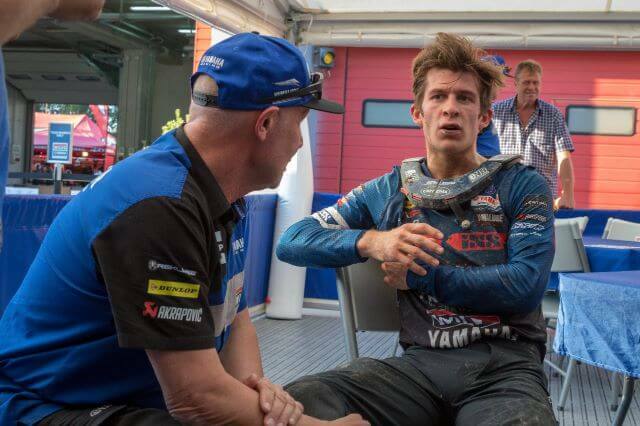 An incident with another rider caused that to change, however, as he re-joined the moto in tenth and had a significant amount of work to do. Seewer was not to be deterred though and moved up to sixth at the end, after making a pass on Shaun Simpson on the final lap, which set him up well to acquire a good overall ranking. It was quite clear that Jeremy Seewer was ready to end the season with a bang, as he charged into the first turn and jockeyed for the holeshot in moto two. Seewer ended up getting caught up in a fall, however, and therefore started the race in dead last. 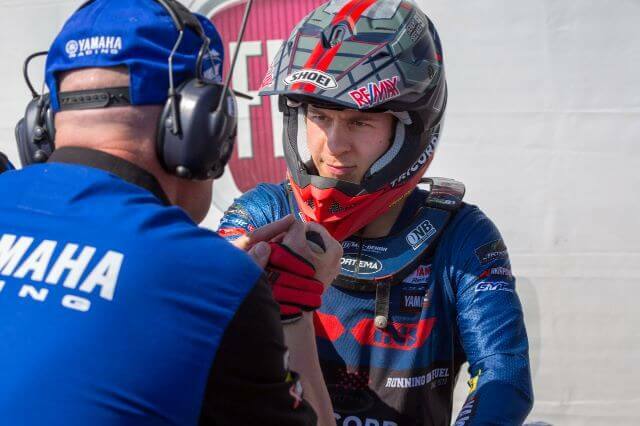 Although conditions were not ideal for making progress, he clawed his way back to eighth overall and secured the same spot in the championship standings. Seewer enjoyed many highs during his maiden term in the premier division and that end result reflects that. 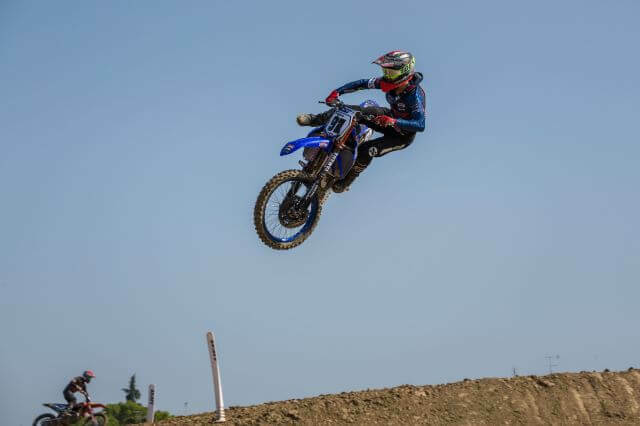 Shaun Simpson also had an effective day aboard his steed at the Grand Prix of Italy. 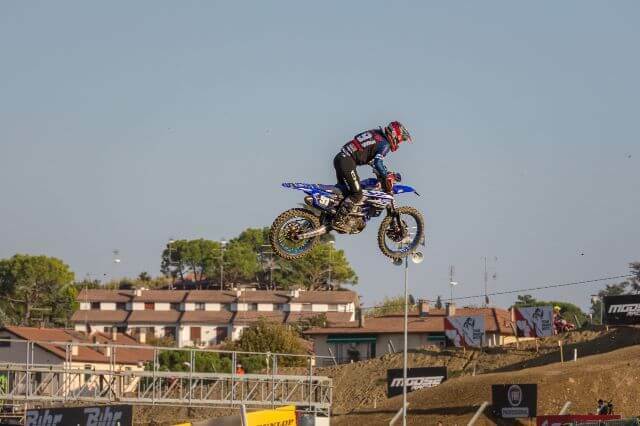 The first-moto was particularly solid, as he duked it out for a position inside of the top five for the duration. It was an extremely exciting race that ended with him in seventh position. The second race was similar too, as he spent a lot of the time in the top five before reaching the chequered flag in seventh. A brace of sevenths left him in seventh overall on the day, unsurprisingly, and helped him secure fifteenth in the championship standings. 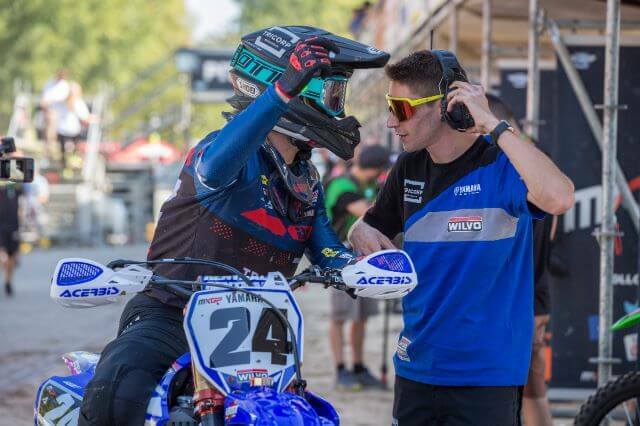 The FIM Motocross World Championship may have concluded, but Jeremy Seewer has an important outing in the United States next weekend. 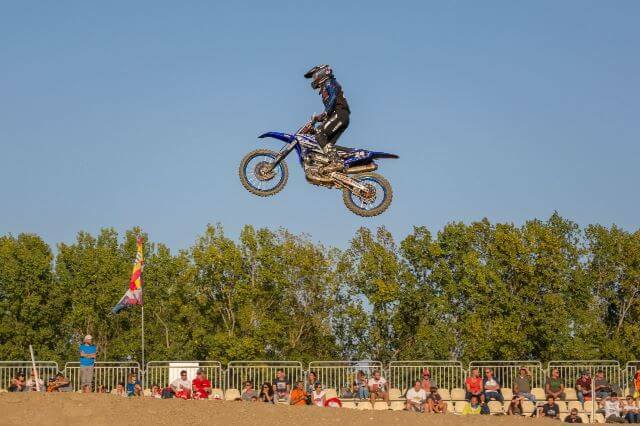 Seewer will represent Team Switzerland, once again, at the prestigious Motocross of Nations.